Make any drink or punch bowl beach-tastic with these seven beach-themed cubes. 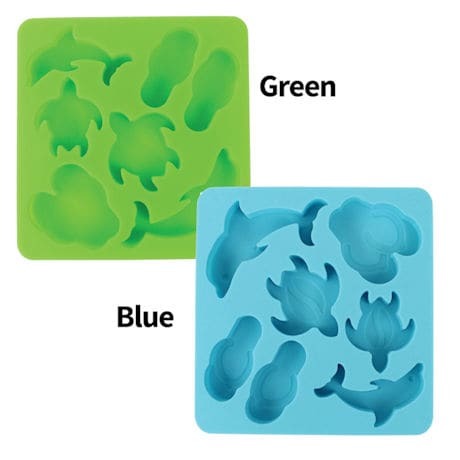 Made of high-quality silicone, the flexibility the tray makes it easy to pop out each sea turtle, flip flop sandal, and dolphin. Dishwasher-safe. Measures 6" wide x 6 1/2" long x 3/4" high. BEACH BUDDIES ICE CUBES - Whether your on the beach or just wishing you were, these summer-themed cubes will get you in the mood. SOFT SILICONE TRAY - It's a breeze to pop the cubes out of this bendable silicone tray. PERFECT FOR PARTIES - Make your kid's birthday party or your summer bash more fun with these sea turtle, flip flop, and dolphins floating in the punch bowl. FITS IN YOUR FREEZER - Put it right on top of your standard cubes. Measures 6" wide x 6 1/2" long x 3/4" high. 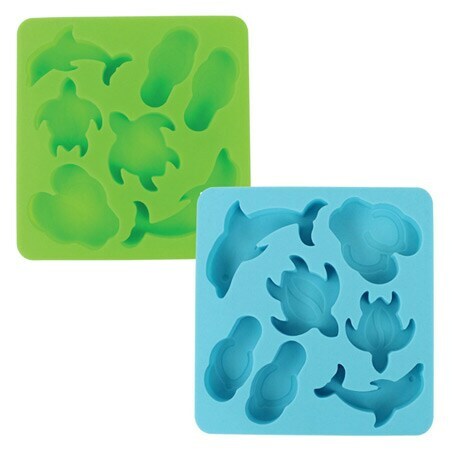 MAKE TREATS AND GELATIN MOLDS - Not just for ice cubes. Use it to make beach-themed gelatin or flavored ice treats.